What are your research interest? The role of diet and nutrition in asthma management for children. The relationship between body composition and growth, and asthma outcomes in children. The effect of maternal body composition, weight gain and nutrition during pregnancy on the development of the child, including respiratory outcomes. Unfortunately, a lot of children are affected by acute and chronic illness during their young lifetime, including asthma which is the most common chronic childhood disease. Nutrition can have a profound effect on one's wellbeing and it all begins in the womb. My drive is to ensure nutrition is a key aspect in the management and prevention of chronic disease, including asthma. This drive has only been further fuelled by several members of my family being afflicted by asthma. Nutrition to be recognised and embraced as a highly valuable aspect of health that can be easily controlled with the right help. I hope to contribute to the production of the research that supports the incorporation of nutrition into the assessment and clinical management of children with asthma. 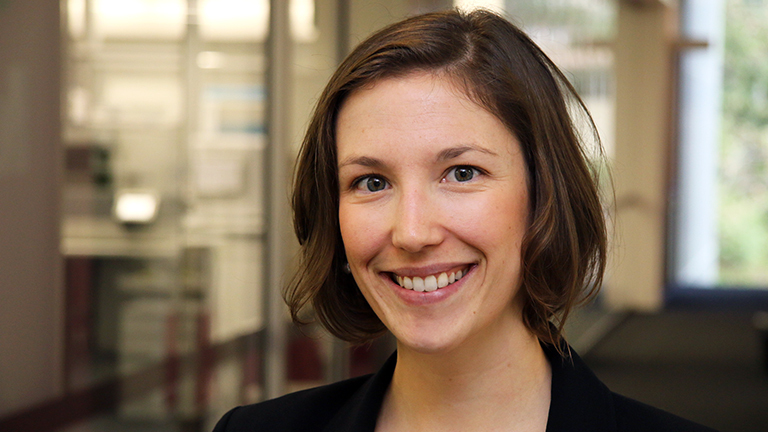 Dr Jensen's research focuses on the role of nutritional intervention in the management of asthma, and investigating the role of both maternal and infant nutritional status in the development of asthma in the child. Given the high morbidity of childhood asthma, the absence of dietary guidelines for children with asthma, and the known importance of nutrition during periods of high growth and development, there is a need to develop this research area for the current and future health of Australians. Dr Jensen is an Accredited Practicing Dietitian and clinical researcher. Graduating with Honours from a Bachelor of Nutrition & Dietetics (2008) and attaining her PhD (2013) from the University of Newcastle, Dr Jensen continued on to complete a research fellowship in Montreal, Canada (2013-2015). Dr Jensen currently works in the Centre for Asthma & Respiratory Disease at HMRI and is apart of the University of Newcastle's Growing Up Well priority research centre . Dr Jensen has published in peer-reviewed journals and presented at national and international conferences in the field of paediatric asthma and nutrition. Her work has been credited by several awards and prizes and successful funding applications, including a Thrasher Early Career Award. Dr Jensen is striving towards optimising understanding of the role nutrition has to play in the prevention and management of childhood asthma.